Days upon days, weeks upon weeks, months upon months, and so forth have been leading up this moment. It's SuperPhillip Central's 750th review! It's amazing the progress this site has made in nearly nine years! 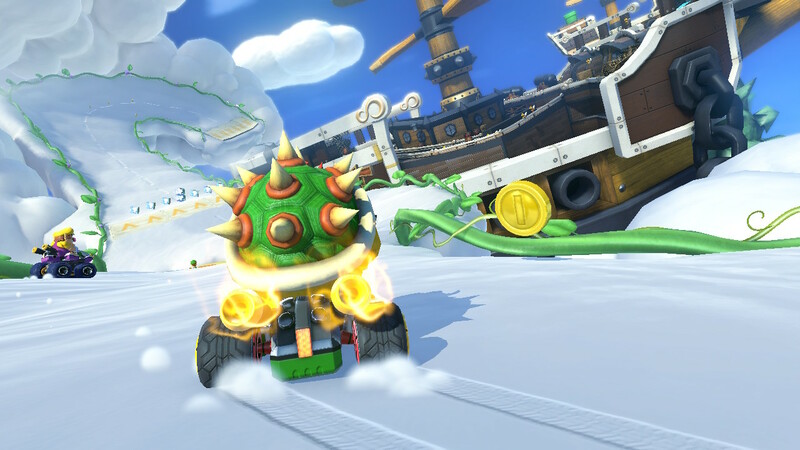 From really embarrassing articles, editorials, opinion pieces, and poorly conceived reviews at the beginning in 2008 to just slightly embarrassing articles, editorials, opinion pieces, and somewhat poorly conceived reviews now, we celebrate review #750 with this in-depth look behind the wheel of Mario Kart 8 Deluxe, the best-selling game last month, despite only being out for a few days! The question this review tries to answer isn't whether the game is good. Clearly, it is. 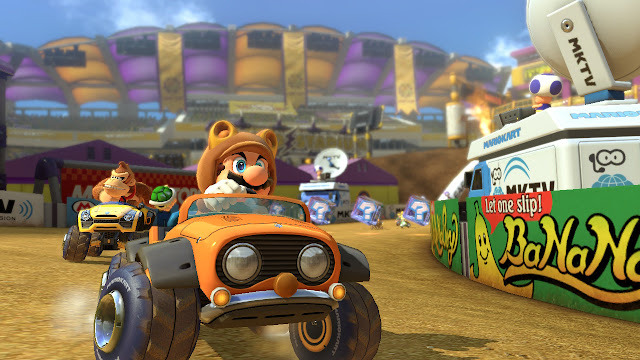 But is Mario Kart 8 Deluxe worth getting if you already played the heck out of the Wii U original. Let's find out with my review, the 750th on SuperPhillip Central! The most impressive Mario Kart since Mario Kart 8... also the most complete! Even on the struggling and failed Wii U, Nintendo was able to sell a great amount of software when compared to its userbase. Games like Splatoon and yes, Mario Kart 8 stood as top sellers despite having a limited amount of overall users. 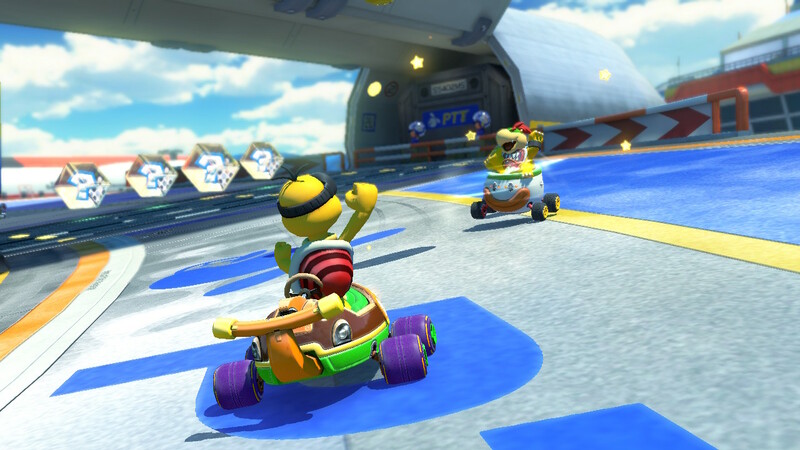 Now, in something I hope Nintendo will continue doing, it is bringing one of the Wii U's top titles to its new and decidedly successful (at least starting off) Nintendo Switch with Mario Kart 8 Deluxe. While the game offers some new additions to it, it might be a questionable purchase for those who already played hundreds of hours of the original Wii U release. This review intends to answer the question of whether these Mario Kart 8 owners should take over the wheel from the Wii U version to the Nintendo Switch updated and upgraded one. "Hey, I can see my Comet Observatory from up here!" 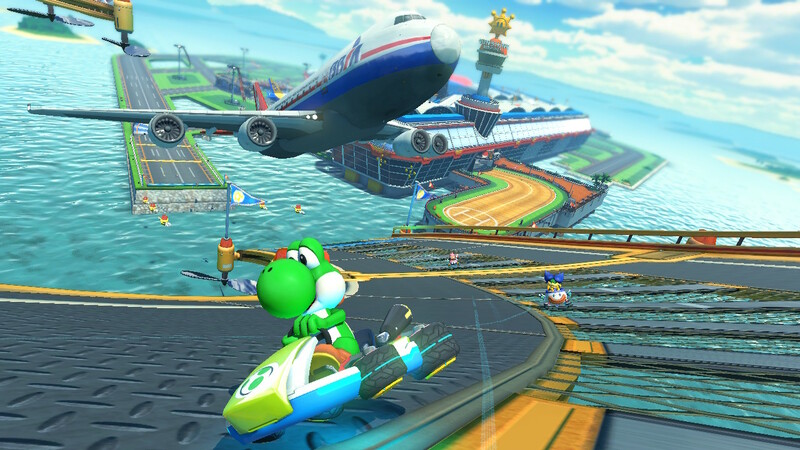 Let's start with what's new in Mario Kart 8. The biggest addition is the revamped and reworked Battle Mode. In the vanilla Wii U original, Battle Mode sadly consisted solely of retrofitted Mario Kart 8 tracks in their entirety instead of standalone, custom-made battle arenas that the series had known for since its inception. 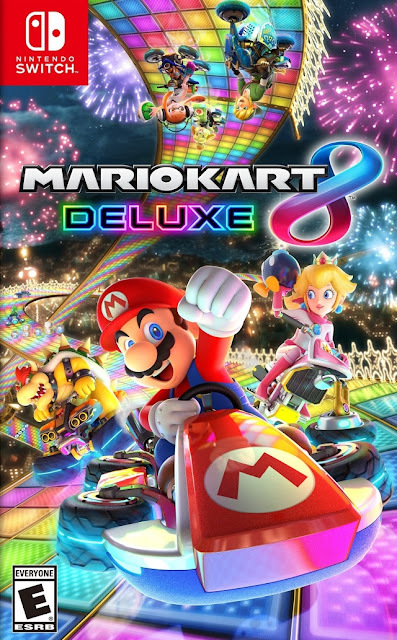 This has been rectified with Mario Kart 8 Deluxe, offering eight arenas with five different modes for offline or online play, and in team or singles play. The arenas come in both all-new and retro varieties, just like the Grand Prix tracks. There's Battle Stadium, Sweet Sweet Kingdom, Dragon Palace, Lunar Colony, and Splatoon's Urchin Underpass, while the retro tracks feature the lineup of SNES Battle Course 1, GCN Luigi's Mansion, and my personal favorite of the whole bunch, 3DS Wuhu Loop. All of the arenas are enjoyable to play on, and there is no loser in this group. My only preference for the future would be to see some additional DLC arenas, but that's just being greedy on my part. What's here is already more than enough. The five different modes feature Balloon Battle, the O.G. Mario Kart battle mode, having players shoot items into one another for points. When all of a player's balloons have been popped from taking hits, their score is cut in half. Then there's Bob-Omb Blast, a bomb-only mode where depending on how long the throw button is held down, Bob-Ombs are chucked farther at foes. The goal is similar to Balloon Battle, save for the only items here being Bob-Ombs. Coin Runners has the simple task of collecting as many coins as possible within the time limit. Every hit you take makes you lose several coins. Meanwhile, Shine Thief, the ever popular mode from the GameCube's Mario Kart: Double Dash!! returns. It's a game of holding onto the Shine Sprite for a set amount of time. All the while the rest of the pack guns for you to steal the Shine. The player who satisfies the Shine Sprite count wins. If you wish to keep your chunk of change, Luigi, it'd be best to race away from that Bob-Omb! Finally, a brand-new mode is introduced in Mario Kart in general, the fantastic Renegade Roundup. Two opposing sides, which are essentially cops and robbers, take each other on. One side with Piranha Plants and sirens overhead try to roundup the other team, the renegades. 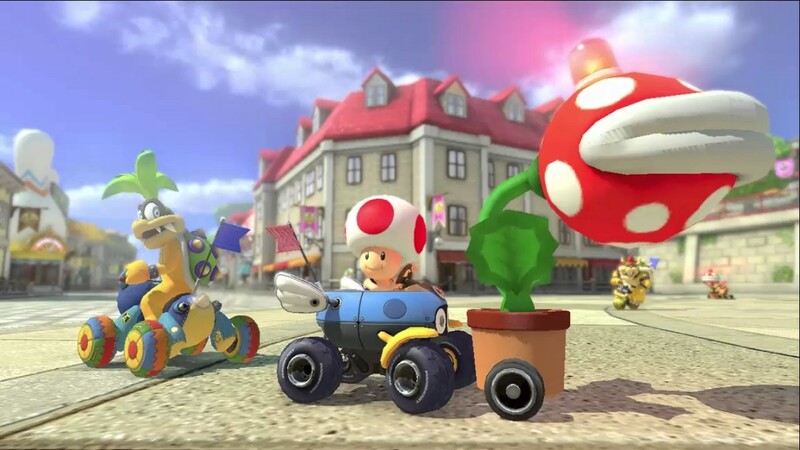 Those rounded up get put in a cage, but free players can brave the Piranha Plant-wielding enforcers, speeding over the midair jail cell's button to free everyone trapped inside. The round ends when either all renegades have been captured or the time limit runs out. This is a massively entertaining mode and a real innovative one, too. The panic that gets induced onto renegades running away from a closing-in Piranha Plant-toting player makes for a tremendously fun time and makes for a mode that fits in more than well enough to the Mario Kart 8 Deluxe Battle Mode lineup. 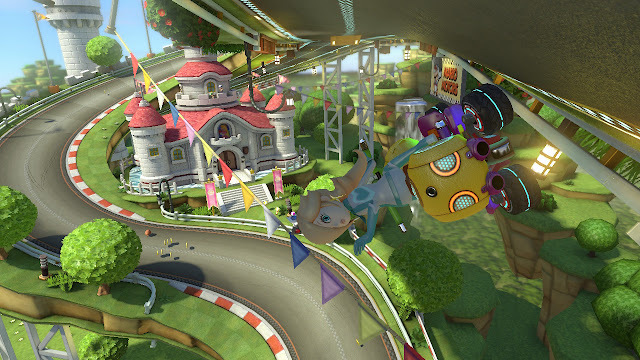 Bowser Jr. and other new characters to the roster also bring new kart parts. 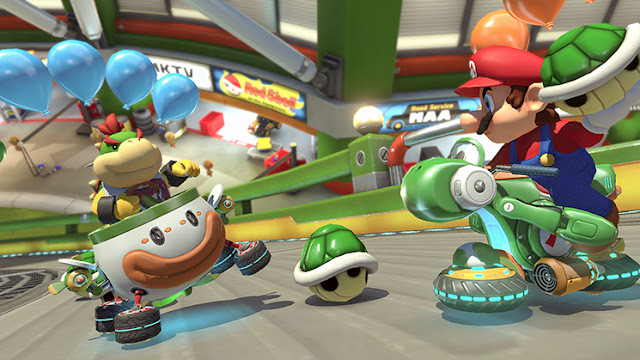 Mario Kart 8 Deluxe features new additions outside of the most notable improvement, its Battle Mode. First, all characters, cups and cup speeds are automatically unlocked from the beginning. 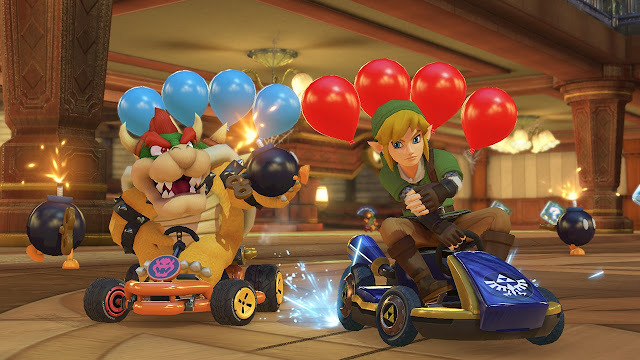 This includes all of the DLC tracks and characters from Mario Kart 8 on the Wii U, plus new additions to the roster like Bowser Jr., King Boo, Dry Bones, and both genders of the Inklings from Splatoon. You might wonder what drive there is to play through the cups and try for first place, much more the idea of gunning for a perfect three stars on every cup on every difficulty. Well, kart parts in kart body, tires, and glider fashions, still have to be unlocked through collecting various amounts of coins. These are still unlocked in a random fashion, so what kart piece one player unlocks at 3,000 coins will most likely be different from what another player unlocks at the same amount. Thankfully, multiplayer races still add to the main player account's overall total. Additionally, Battle Mode coins collected mostly add to this total, too. It might not be his usual place to haunt, but returning fave King Boo is glad to be back to racing regardless. The most enviable kart pieces to unlock, not because of their statistics, but the challenge of unlocking them, the gold kart pieces, still take a good while to unlock as well. 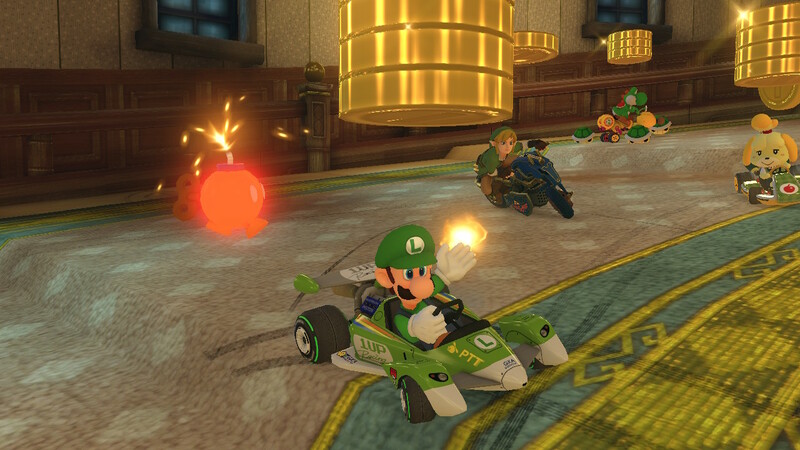 For instance, the gold kart body is unlocked by earning at least one star on all 150 cc cups, while the gold tires are earned through beating every Nintendo staff ghost on all 48 tracks in Time Trial mode. Also, beating every cup in first place in 200 cc unlocks a brand-new variant of Metal Mario, Gold Mario from New Super Mario Bros. 2, to the roster. So, in all, there is a great deal of stuff to unlock despite a lot of the base content being already available from the beginning. 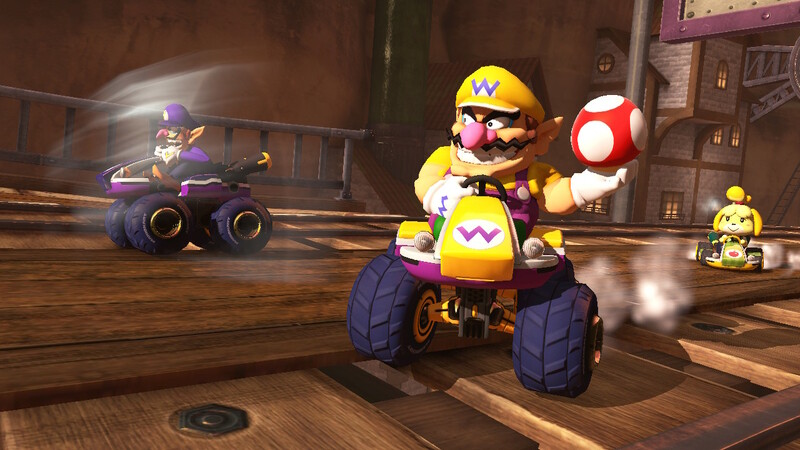 The brothers of the "wah" compete on Mario Kart Wii's Wario's Gold Mine. Racing-wise, Mario Kart 8 Deluxe brings some freshness here as well. In something that will allow even more players from lower skill levels to enjoy the game, there are various control options available for them. For one, smart steering is an option, making it so while players have control over their vehicle, smart steering makes it so the vehicle will automatically slow down or readjust to avoid falling or going off the main track. Tilt steering is also available, and if one wants, they could even turn auto acceleration on, for those players who have trouble holding a button down or pushing in the right analog stick. One could theoretically set the controller down and let the game play itself, but you won't be winning most races this way. Unfortunately, when you play with multiple players, each time you turn off the game, you have to turn off the second, third, and/or fourth players' auto settings as they will on from the start instead of off. This is a minor annoyance, but at the start of playing Mario Kart 8 Deluxe, my older brother noticed something amiss with his controls. Turned out that the auto steering and acceleration were automatically on, meaning he had to pause the game to turn them off. There wasn't even a warning or notification that these were even on to begin with when starting the game. Having trouble beating Wario? Try turning on smart steering and auto acceleration. However, not all of the racing changes are just for new players needing assistance. When performing a drift, not only can you build a mini turbo up to two times, now you can generate a third mini turbo with pink sparks. There aren't a multitude of turns offering such an ability, but when you're able to pull it off, it creates a bigger resulting boost that is ultra satisfying. 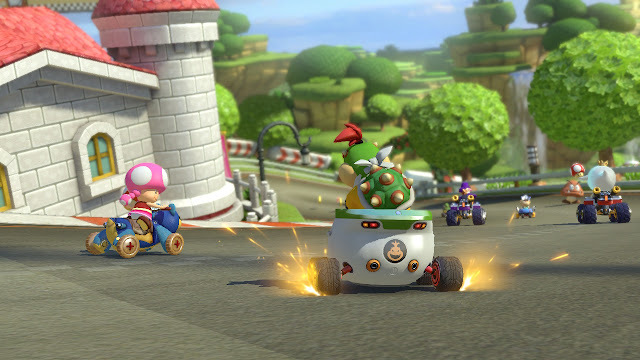 Mario Kart 8 Deluxe also features two returning items not seen in a while in the Mario Kart franchise: the Boo item and the Battle Mode-only Feather from Super Mario Kart, the very first game in the series dating back all the way to the Super Nintendo. The Boo randomly steals an item from an opponent ahead of you while also temporarily turning you transparent and impervious to items. Meanwhile, the Feather allows you to jump and spin over obstacles and even opponents. In modes like Balloon Battle, this steals a balloon from them and adds it to your collection. 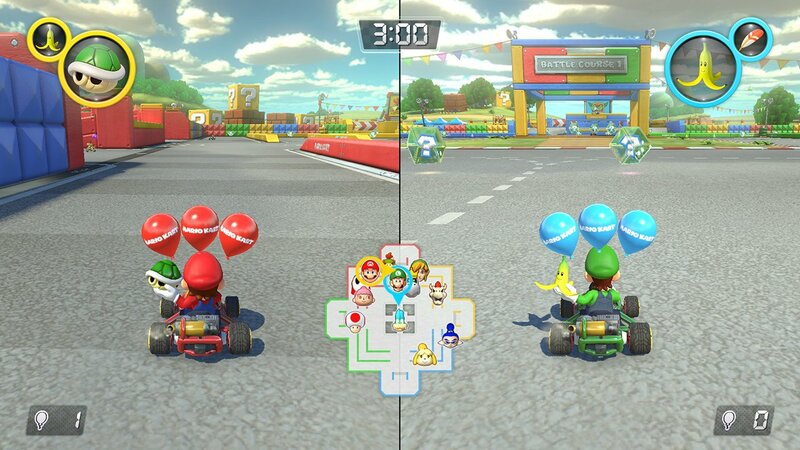 It's not just returning items in general that Mario Kart 8 Deluxe brings back, it's double item boxes and the ability to hold two items at once like in Mario Kart: Double Dash! !, though the ability to switch between which item you wish to use first has been omitted. Thankfully, with eleven racers already gunning for and competing with you, the addition of even more items to conceivably contend with doesn't impact races as adversely as I thought it would. There's still a notable dynamic shift with more items in the rotation in races and battles, but more items also means more chances to get more defense (and then again, more coins, but you never hold two coin items at once, thankfully). Sure, that means that red shells are a greater annoyance when you're in first, but overall, the dynamic shift isn't overwhelmingly apparent. That's a good thing, and I'm sure a relief for many. More items means more chaos on the track. Take THAT, Bowser Jr.! Now, how about the multiplayer? 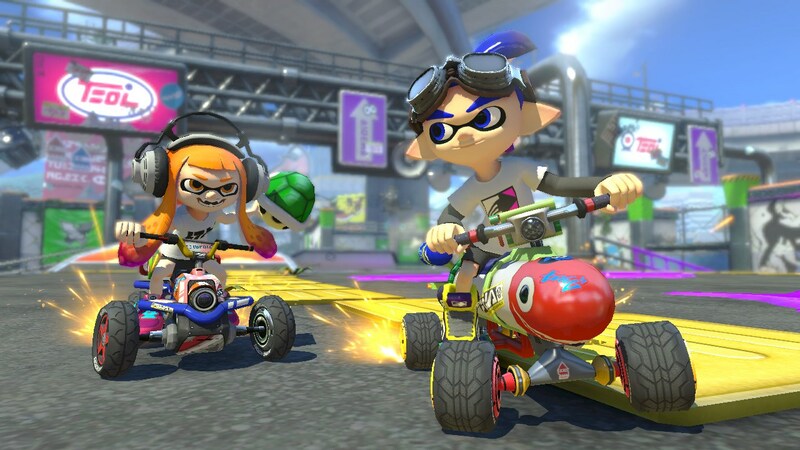 Locally, the left and right Joycons that come with everyone's Nintendo Switch are good enough for two players to start racing and battling immediately. My only issue with those is that holding down the left shoulder button, something that doesn't protrude as much as I'd like, is difficult to do. I can't tell you how many times I tried to hold a shell or banana peel behind me, only to let go of the button and lose my defense... and then getting hit by a red shell, of course. Two players locally can even hop online to take on other players the world around. The anti-gravity portions of tracks are just as awesome now as they were in 2014. This is where some shortcomings pop their ugly head in. The online options here are quite limited, and if Nintendo wants people to shell out money for its online services this fall, then either what's here is incomplete or Nintendo is crazy. Then again, it could be both. With randoms, you're stuck picking between three randomly selected races to compete on, and you can't even select the speed of the races. That's randomly chosen as well. 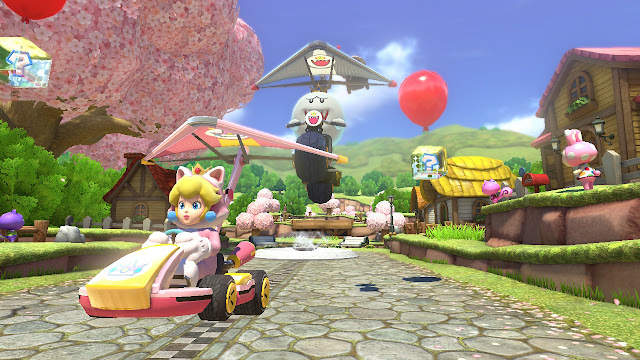 However, one improvement over the Wii U Mario Kart 8 is that you can choose a different character and kart configuration without leaving an online lobby. This is something I couldn't believe wasn't implemented before, but still, it's a wonderful addition and makes for awesome convenience. Then there are connection errors that pop up occasionally. It just makes for a hard sell if Nintendo wants to monetize online for the Switch in the future without any changes. No need to change your set of wheels by leaving online lobbies. Viva la change! Mario Kart 8 Deluxe looks and runs fantastically on the Nintendo Switch, whether it's docked or in handheld form, my preferred way of playing the game just for its convenience and how cool it is. (Then again, I was born and raised on the Game Boy, so thinking back on that to being able to play games like Mario Kart 8 Deluxe on a handheld-like device such as the Switch now is astonishing to me.) The 59 FPS issue that the Wii U original suffered is no longer present in the Switch version, and the colors and models are crisper to the eye. Like many of Nintendo's HD games, there's little aliasing to talk about, but the game still looks massively impressive in both photos and full-on motion. Meanwhile, the music is still one of my favorite game soundtracks ever devised, and the new theme additions for the Battle Mode stages are terrific and fit well in both aesthetic and quality to the original Wii U soundtrack. 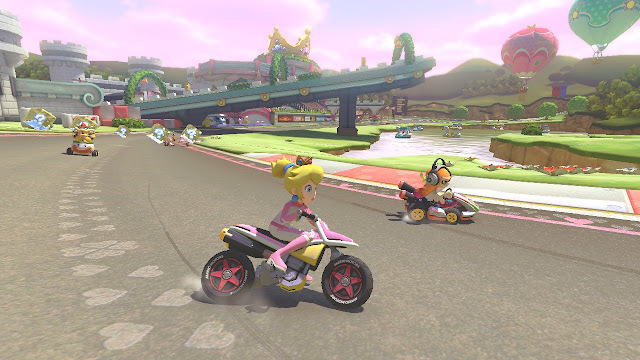 Mario Kart 8 Deluxe is all in all a delight to look at and listen to. I'd love to stop and take in this gorgeous game, but I've a race to win! 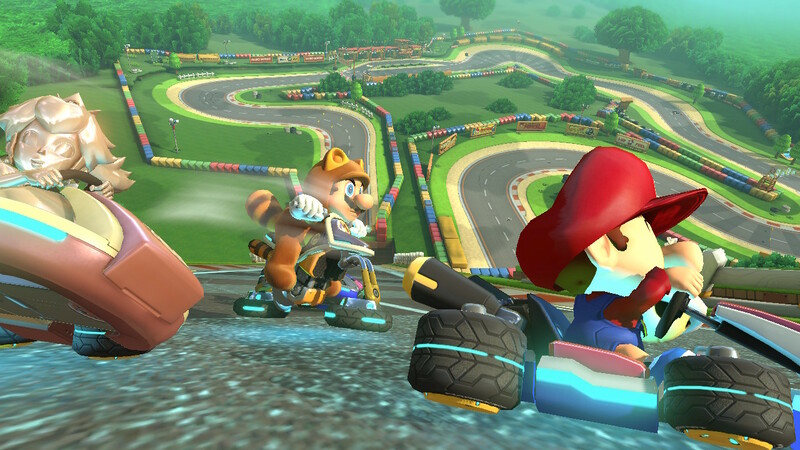 So, here comes the $59.99 MSRP question: Is Mario Kart 8 Deluxe worth it if you've already played the Wii U original? My answer is an astounding "yes." The upgraded Battle Mode that can be played with AI, friends, and family offline, or online with friends and total strangers is fantastic, offering five modes, eight arenas, and wild chaos abound. The new additions like cast inclusions, the third mini-turbo boost, the pink one, two returning items and Double Dash's double items, and other new features make an awesome arcade racer and installment of the Mario Kart series even more awesome. 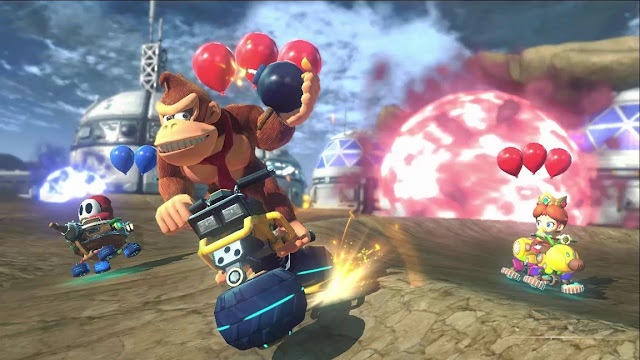 It might be lacking in online options, even the Wii U's voice chat in friend lobbies, but overall, Mario Kart 8 Deluxe will be a go-to for many Nintendo Switch outings and occasions for a long time. Tomorrow marks SuperPhillip Central's 750th review, but before we get to that, let's take a look at a recent offering from Inti Creates, developer of the Mega Man Zero and Azure Striker Gunvolt series of games. It's Blaster Master Zero for both the Nintendo Switch and Nintendo 3DS. Let's dive in with this in-depth review! Blaster Master was a 1988 Sunsoft-published NES game that featured gameplay that really showed why that era of gaming was considered the golden age for many gamers. Now, it returns with the help of Mega Man Zero/Azure Striker Gunvolt developer Inti Creates, with Blaster Master Zero. Sporting a new scenario, gameplay updates, and additional content, this blast (...er master) from the past is certainly worth feeling the aftershocks of. Sophia III prepares to begin her mission. Blaster Master Zero has two major gameplay types featured prominently throughout its 5-8 hours run time. The first takes place in a 2D space, offering Metroid-like exploration with either the Sophia III tank itself or Jason in his suit. You're much more limited in mobility as Jason by himself, but he can also get through places that the tank cannot. These are things like places with narrow ceilings. Likewise, most places Jason cannot get to at all, much less survive. Any fall of decent height will kill him, and even relatively small falls will injure his health. The second type of gameplay type takes place in top-down Zelda-like maps. Of course, here there's little to no puzzle solving to be found. The focus here is on pure combat and a little exploration, too. 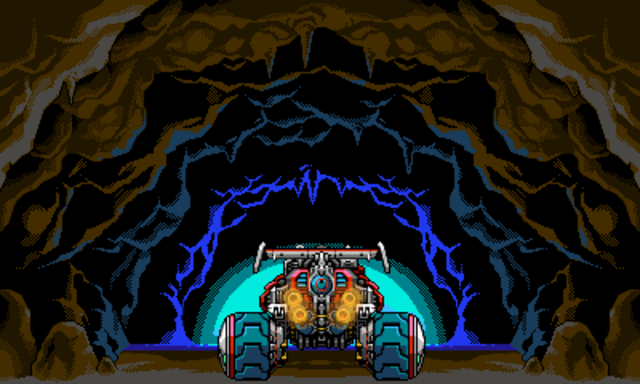 Many areas in the 2D sections of Blaster Master Zero feature caves that only Jason can enter. These bring him to said top-down maps. Usually at the end of these multi-room spaces of varying lengths and labyrinthine qualities there lies a boss of some type. These can be as simple as enemy horde rooms where you shoot as many foes as possible as you try to survive or actual encounters with big bosses with their own attack patterns to learn and avoid, all the while blasting their weak points in a war of attrition. 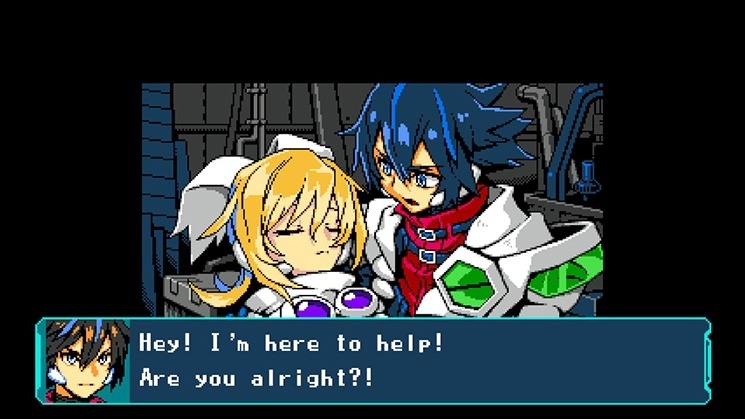 ...or taking matters into his own hands on foot, Blaster Master Zero's gameplay is satisfying either way. The rewards for vanquishing such foes are new abilities both mandatory and optional. These can be things like new weapons for either Sophia III or Jason himself, abilities like diving and boosting for the tank, and other upgrades. 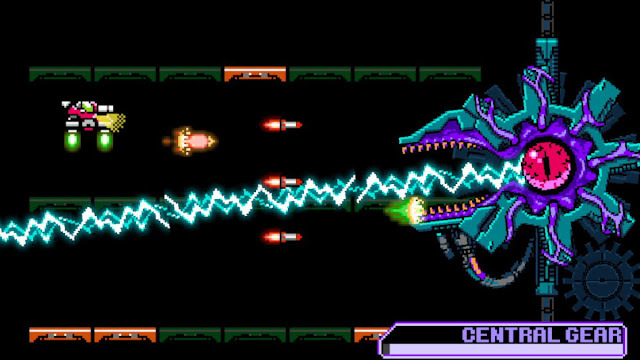 This allows for the Metroid part of Blaster Master Zero to intervene. New parts and abilities offer new exploration possibilities. Normally the game shows where you need to go next, so you're never at a loss for what your next objective is, which is nice for a modern take on a Metroid-type game. Ah, one of the most helpful upgrades, the ability to hover and rise! How would we beat you, Central Gear, without it?! That said, there is a lot of backtracking to be found in Blaster Master Zero, and it becomes a bit annoying and tedious. 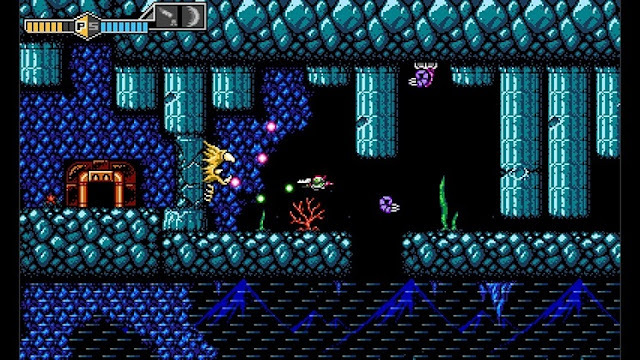 Metroid-style games are no stranger to this, but some do it better than others. All of the areas in Blaster Master Zero are interconnected-- that's true of many Metroid-likes. 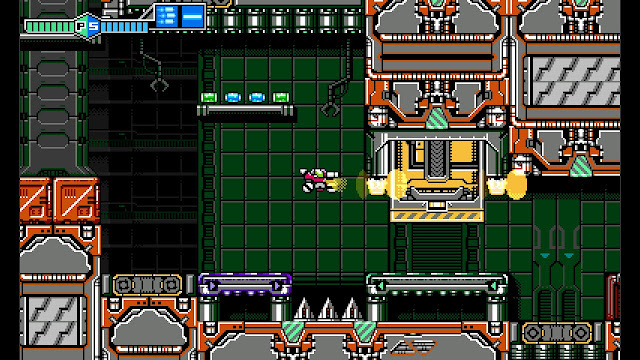 The difference between the fun exploration of those and Blaster Master Zero is that each area in the game is connected one after the other in a linear pattern. No one area connects to two different areas, for instance. This means if you're at the end of the game at Area 8, and you need to travel to Area 1, you have a good deal of distance to cross with little in the way of shortcuts. Merely beating the game is an easy task, but when you want to backtrack to pick up missing upgrades (such as helpful health ones), find and battle bosses that you haven't beaten yet, or anything else, it becomes a bit of a slog, and a tedious one at that. Still, Blaster Master Zero sports engaging combat and bosses whether in the Sophia III tank or just moving around levels and areas as Jason. There are some truly stunning and behemoth-sized bosses to tackle which make up the most impressive spectacles of the game, while exploration, other than the aforementioned backtracking (required or not), is generally a lot of fun to do. The abilities you earn as both Sophia III and Jason are enjoyable, allowing for new ways to tackle old areas. This mostly submerged area features the most time Jason spends in the 2D part of the game. Blaster Master Zero nails its 8-bit era aesthetic. It takes liberties with the technical limitations of the era, of course, but no one said Inti Creates had to limit themselves to the late '80s and early '90s realm of NES power. The visuals are crisp and suitably colorful and at times dynamic, and the audio delivers old school chiptune goodness. It's just a satisfying package presentation-wise all around. 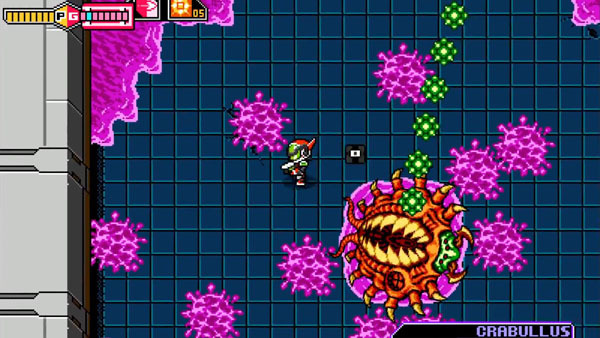 Blaster Master Zero has everything: intense boss battles, Metroid-like upgrades and exploration, and even a little story to keep you engaged if the gameplay doesn't (hint: it will!). Inti Creates continues to be one of those developers that delights me with its output. First, it was the action-packed awesomeness of its Mega Man Zero games. Then, it was Azure Striker Gunvolt. Now, its take on Sunsoft's Blaster Master with Blaster Master Zero had me loving a lot of what I played. Blaster Master Zero takes a lot of the good and some of the bad of the Metroidvania game, and overall it reaffirms to me Inti Creates position as a terrific indie developer. The proof is in the pudding, or in this case, the code. Blaster Master Zero gets a recommendation. Right out of the gate the Nintendo Switch is pumped and primed, ready and able, capable and competent, and whatever other pair of words you can think of to describe how strong the system is as a multiplayer device to get people playing together. No launch title best encapsulates this than a digital download, Snipperclips - Cut it out, together, a game that can, in fact, be played by one's lonesome, but it's exponentially better with a pair of players, much more a full four-player group. 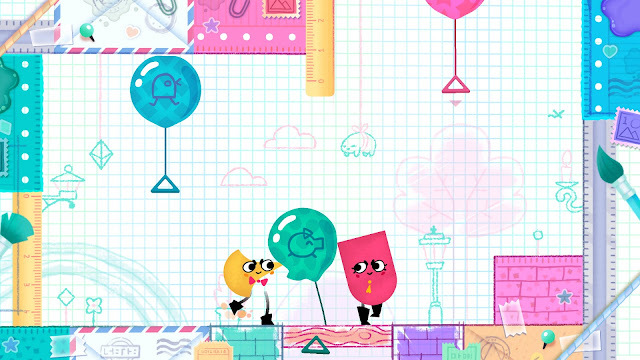 The prime mechanic of Snipperclips is the ability to maneuver two or more characters, either simultaneously in multiplayer or one at a time in solo mode, rotating and using each others' bodies to cut into one another. The ability to reform is always available, making any unintended snip or clip easily remedied and quite quickly. Most of the content in Snipperclips focuses on cooperative multiplayer, which is what makes the game truly shine. Actually, scratch that. It's the many ways that you can solve the game's multiple levels, having every play session spawn a different means of progression to the end result, which makes the game truly shine. It also makes Snipperclips immensely replayable, particularly in a group setting. Do they let the Warriors get away with players standing on each others' heads for dunks like these two are doing? Different puzzles and levels require different necessary methods to complete them. There are some where you have to cut one another to form shapes that fit a tracing. You need to be as close to perfect as possible in filling in the mold to be victorious in these levels. Others have you getting on your inner Lebron James and sinking a basketball into a net for a two-pointer. Sure, you won't really be dunking the ball, but you're clearing the level and that's all that matters. Pop balloons, gather fish, lead a butterfly to the goal-- there are a vast amount of objectives to the levels to overcome. Cut your buddy up to be a prick to these balloons. No, I mean a LITERAL prick, a stabby thing. Not an insult. I talked before about how multiple levels have various ways you can clear them. For instance, there's a level where you need to carry a pencil across the length of the level, and then somehow drop it into a sharpener to clear the stage. I did this in two ways with different players. For one, the other player and I just moved the pencil across each others' Snipperclips characters' bodies, juggling the pencil into the sharpener. Then, the next time with the next player, she had me rotate my Snipperclippers' body and made an incision, a pocket, where I could hold the pencil and walk the level's distance to T sharpener itself. Those two ways are hardly the only two solutions to solve that particular level. And it's not just the various ways you can complete the levels either. It's the various social interactions you're having with other players. One run or attempt of a level will be different than any other. It's these ever-changing moments, whether busting into laughter and then tears after a failed attempt, chastising your partner for messing up at the last possible moment, or slapping a very hard high five after a puzzle is completed, that make Snipperclips such an uproarious good time. This level requires scooping up the green and pink fishies and dropping them into the body of water to the left. 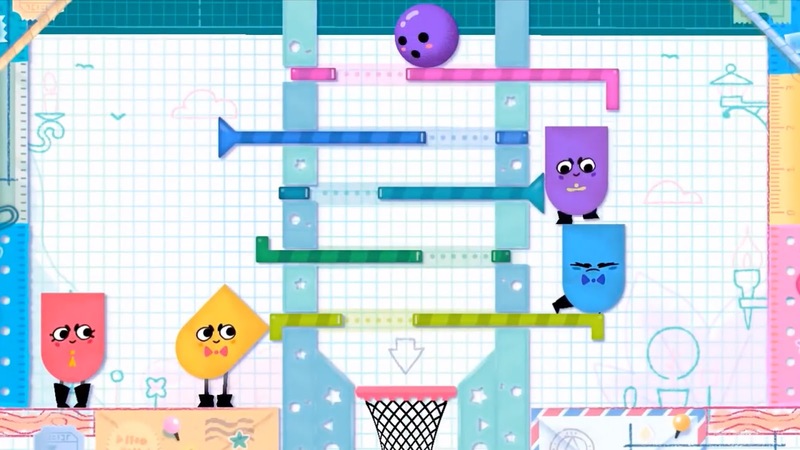 Outside of the levels in Snipperclips, the game also offers multiplayer mini-games in the form of basketball and hockey. Basketball is played like a 2D platformer of sorts with basketball hoops on opposing sides while hockey is played like Pong. Both bring some quick and satisfying party shenanigans, but they don't have much staying power overall. Unless your party is drunk, but doesn't every mini-game have staying power when your party is drunk? The replayability of Snipperclips is definitely there, but really, it's only for multiple players. As a solo experience, Snipperclips is short lived. You won't really want to again pursue through the game's three worlds of a dozen or so levels each unless it's to try to solve them in alternate ways. It doesn't help that a significant amount of content is locked behind having 2-4 players, and even some puzzles requiring 3-4 players. Even small things like leaderboards, target times to beat, and so forth, would greatly up the replay value for solo players, and it would also benefit groups in the process. The point I'm trying to make here is that if you're searching for a Nintendo Switch launch title to enjoy by your lonesome, Snipperclips isn't it. absurdities in fun gaming sessions with friends, family, or just total strangers! 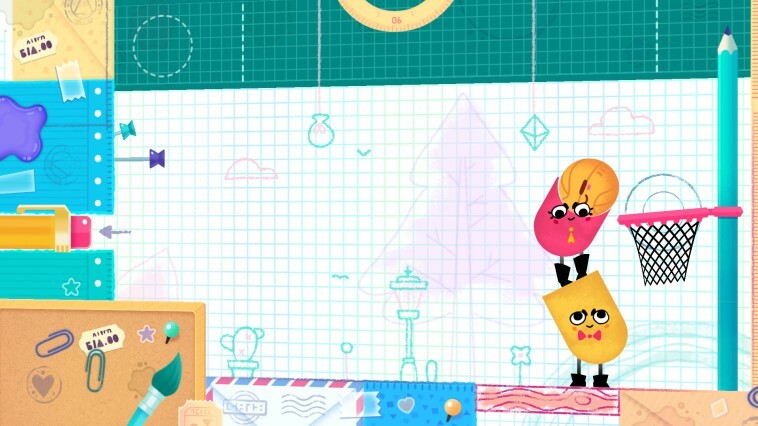 Overall, Snipperclips is a success at what it sets out to do, and its true entertaining factor comes from the experiences you have interacting with other players. 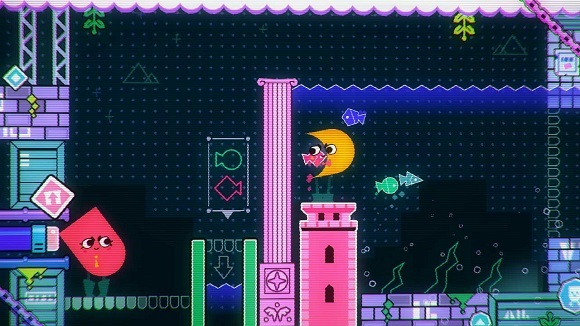 Even those who seldom pick up a game controller of any type can easily get into the game, which says a lot about Snipperclips as a party game for family outings. Nintendo picked up a serious winner when they nabbed Snipperclips for the Switch, and while it offers little longevity for solo players, it's an embarrassment of riches for groups, friends, and families. After much ado about Splatoon 2's multiplayer, and rightfully so, Nintendo has released a trailer focusing on the single player portion of the game. It looks to be just as creatively designed as the original, and perhaps even more so. Splatoon 2 will certainly make waves when it releases July 21. Now let's rank these battle arenas! I love all the battle maps and arenas found in Mario Kart 8 Deluxe's enhanced Battle Mode, so even though Urchin Underpass from Splatoon is rated as the lowest on this list, it's still a fantastic arena-- I just like enjoy it the least. Part of this is how I found it the least accessible arena to beginners, with all of its ramps, points to slow players down, and intricate turns and corners to slip new and inexperienced players up. 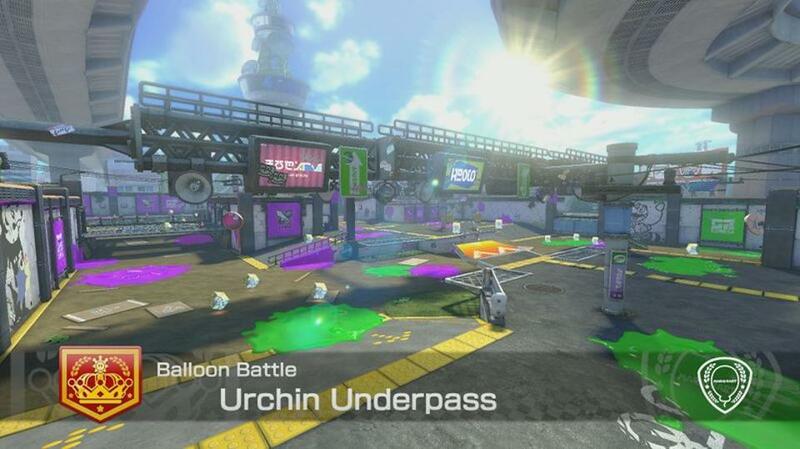 It can also be a slightly confusing map itself, but once you learn its intricacies, Urchin Underpass is a colorful and entertaining battle arena worthy of both the Splatoon and Mario Kart names. The low gravity goodness of Lunar Colony makes for some terriffic battles in the central crater and areas surrounding in this fun but simple arena. 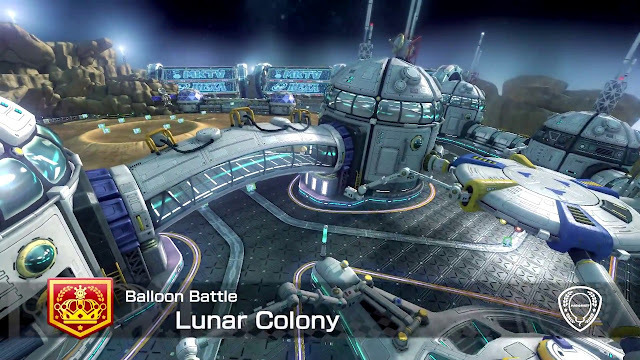 Without the low gravity and extra jumping awesomeness found in Lunar Colony, this would be a very simple map without much to boast about. Still, the main gameplay gimmick here makes Lunar Colony more than worthwhile, and circling around the outer loop to avoid attacks is a good deal of fun, making this a fun and enjoyable arena to battle on, no matter the mode. Speaking of simple arenas, sometimes the simplest of maps are the most fun. Well, not in this case, but SNES Battle Course 1, a battle arena from the very first Mario Kart from the Super Nintendo, is more than a blast to battle on. It has the most basic design with its symmetrical design and mostly flat surface, but it's absolutely fantastic in all modes. My personal favorite is Renegade Round-Up, where the jail cell is always in the very middle of the map. Braving a breakout by driving through a cop-infested central area to save your fellow renegades is always a good time. Add in some gliding opportunities at two sides of the arena, and you have a return to SNES Battle Course 1 that is a great one. Despite being on the small side, Sweet Sweet Kingdom is a battle arena that wants to take your attention away from battle through its sugar-coated castles, doughnut hole gateways, and other delectable delights. 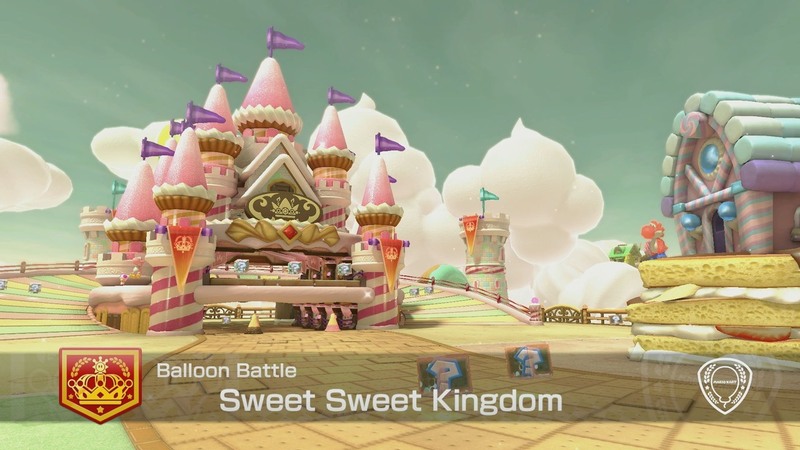 Try not to get diabetes from merely racing in this arena! It has plenty of small loops around its front, back, and even one of its sides, but the real action takes place in its central area. It's definitely hard to find space to run away from foes, but simultaneously it makes it so opponents have a hard time in running away from you. Part figure-eight, part central piece of arena that serves as a doughnut, perfect for dropping down on the figure-eight piece of arena, Battle Stadium is true to its name. It's all about the battling and less about pulling off impressive tricks and driving maneuvers. This is the Battle Mode, after all. 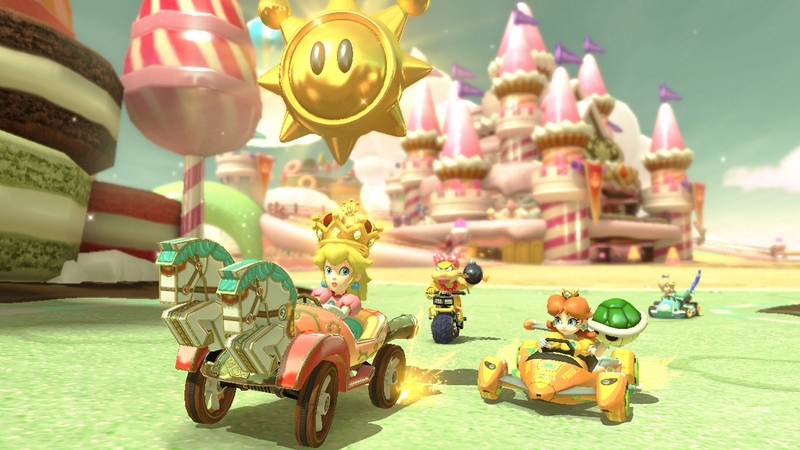 Save your long mini-turbos for getting three stars on 200cc Grand Prix races, dear friends! 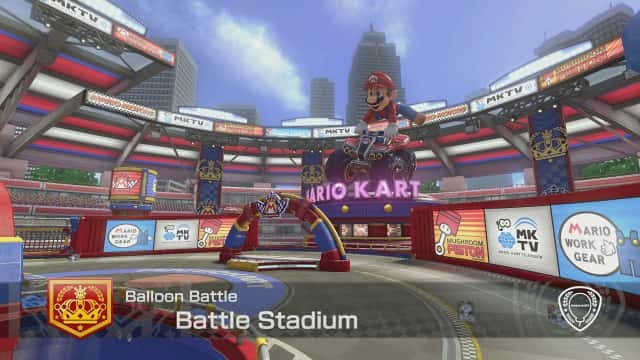 One end of Battle Stadium features a gigantic statue of Mario while the other on the opposite end has none other than Mario's main rival, the big, bad Bowser. The aforementioned in-your-face focus on battling (I mean, heck, it's in the arena's name!) makes Battle Stadium one of my favorite places to unwind, unload, and do everything but accept defeat. Three different tiers are the highlight of GCN Luigi's Mansion, a relic from Mario Kart: Double Dash!! from the GameCube. The main floor is an open rectangular area with some columns, perfect for some epic shell showdowns or other item encounter. Meanwhile, three ways lead to the lower level, where a narrow stretch of map is connected to the main floor. Finally, the rain-drenched top floor offers a sunroof where battlers can unleash shells and other items from the top to the open main floor without worrying about comeuppance from those on the main floor. 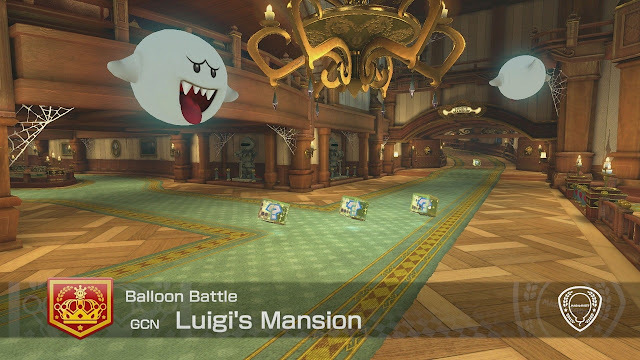 GCN Luigi's Mansion is a haunted and hectic house where battles are always a massive good time. 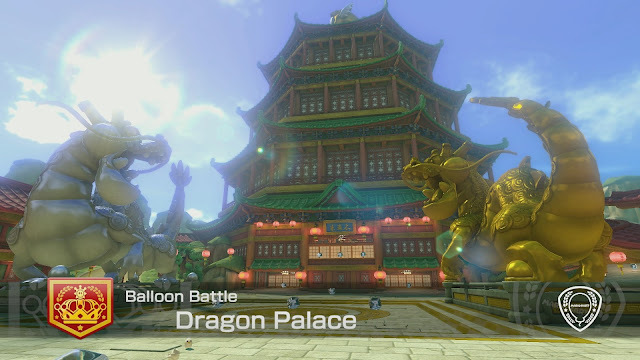 Based off of the Dragon Driftway track in the Egg Cup of the Mario Kart 8 Deluxe Grand Prix, Dragon Palace is essentially two major areas connected together. 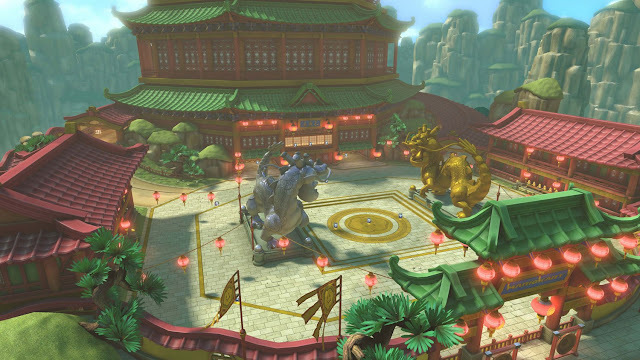 The first is an outdoor courtyard where the main attraction is two facing dragon statues: one gold, one silver. Connecting that to the second major area, the eponymous palace, are two ramps and a line of paper doors that can be crashed through. This palace area is an expansive circular room where opponents can unleash heck upon each other as they risk taking hits from rushing through and picking up items from the boxes that litter the center. The Asian flair is most definitely present which makes for a nice aesthetic, while the basic structure of Dragon Place makes for a battle arena that never fails to bring me joy when battling in it. Coincidentally enough, 3DS Wuhu Town was my favorite battle arena within Mario Kart 7, though that version took place at night instead of daytime proper. Wuhu Island's top residential and commercial district features a healthy host of side streets to speed through, special paths to take, corners to drift around, and a central plaza containing a fountain as well as being overlooked by the Wuhu Town gate. 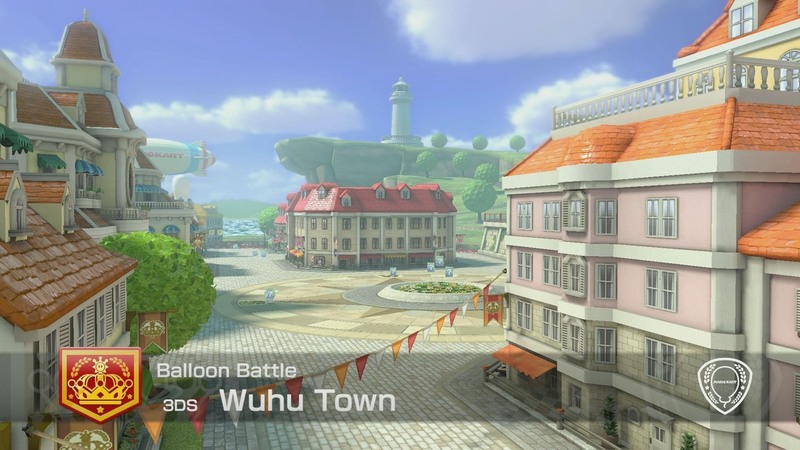 From the basketball court on its furthest south to the hill on its furthest north, I don't think any other battle arena has as much environmental variety than 3DS Wuhu Town. 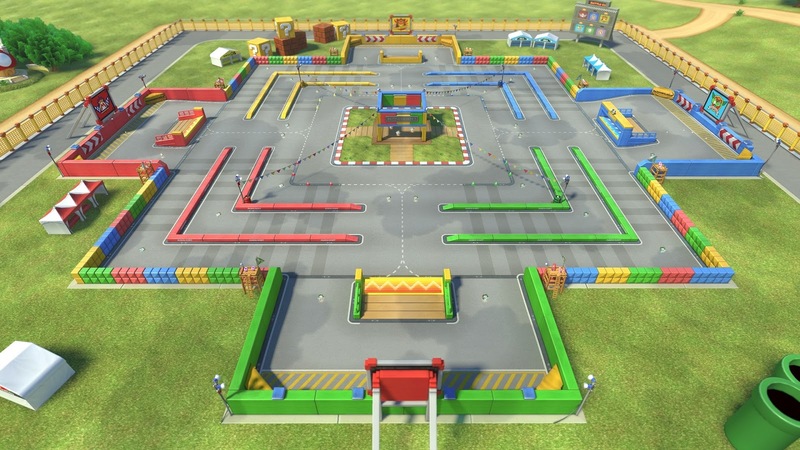 Add in the fact that I'm an absolutely sucker for city-based and town-based arenas and tracks (such as Mario Kart 8 Deluxe's own Toad Harbor or Mario Kart DS's Delfino Square), and you have a battle map in 3DS Wuhu Town that is must as my number one pick for favorite Mario Kart 8 Deluxe battle arena. The PlayStation 4 game Disgaea 5 reaches the Nintendo Switch, this time with everything in the game included straight from the onset, including all DLC. This overview trailer gets Switch owners caught up with the game that PS4 players enjoyed last year. Disgaea 5 Complete launches on Nintendo Switch on May 23 in North America and May 26 in Europe! Warning: Original heroes: Do Not Steal! Yes, finally those dreams of many Sonic fans are coming true with the ability to insert their own custom hero into a Sonic the Hedgehog game. Sorry, Bubsy fans, but the third hero is in fact a custom hero that the player can create by unlocking new parts and more. This new trailer shows off the game feature in detail. Sonic Forces is unleashed to the masses this holiday season! SuperPhillip Central only had two posts last week due to a certain site owner's college graduation occurring, but now the site is back with regular posting on the weekdays! We begin the deluge of posts with SuperPhillip Central's Favorite VGMs, a weekly happening featuring five fantastic video game themes from a variety of games and genres. It's not just a special edition of the Favorite VGMs because of it signaling the return of regular SPC posting. It also marks the edition featuring our 1400th VGM volume! Wow! It all kicks off with a vocal theme from the most recent game featured this edition, Persona 5. Then, we rock out to themes from Ys Seven and Virtua Fighter 5. Following that is a remix from After Burner Climax. Finally, Resident Evil 4 is the game upon which our 1400th VGM volume is from! As always, click on the VGM volume to hear that particular theme. Finally, the VGM Database is your home for all past VGM volumes. Now, let's get on to the music! Let's begin with some smooth as silk music from a recent release, Persona 5! Not only do you get some catchy, infectious grooves with this theme, but some delightful vocals as well! Listen to this theme and dance all night! Wait, "dance all night" is a different Persona game. Ah, heck-- if it fits, it fits! Starting with a muted guitar before going into a full out heavy metal rock, this is Crossing Rage, a superb battle theme from Ys Seven, a PlayStation Portable exclusive entry in the Ys series. 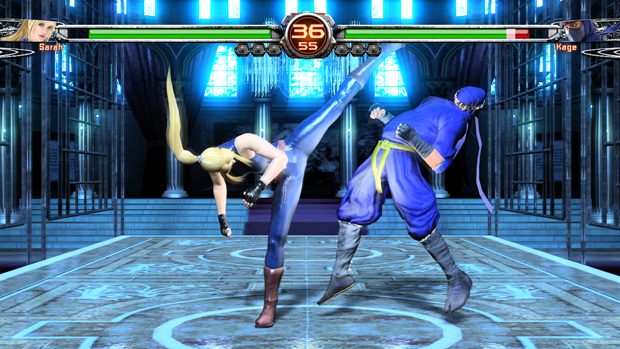 The game was the first to introduce a team-based system for both combat and exploration, where switching between one of the three current party members was as simple as a press of a button. 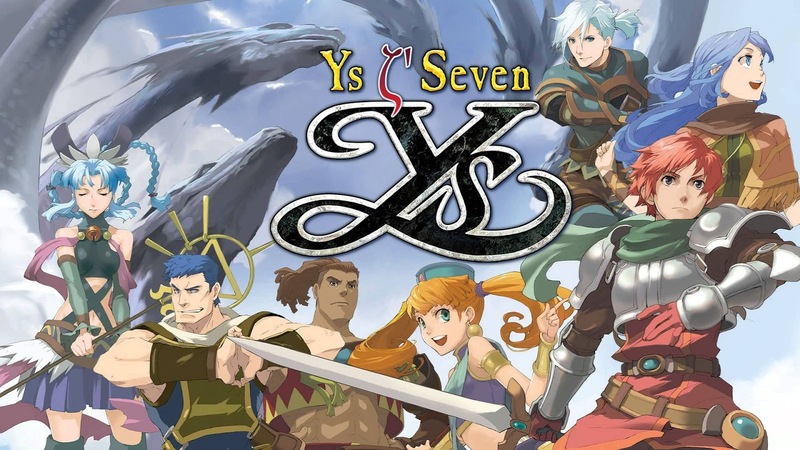 It's not my preferred approach to the Ys series-- no, that's Oath in Felghana-- but Ys Seven was still a wonderful game worthy of the Ys series name. Sarah Bryant's stage in Virtua Fighter 5 features this awesome theme, a satisfying combination of rock and electronic music. I absolutely adore the riff of the guitar in this theme, making for an immense catchy theme overall. It's the type of song that gets you ready for battle, and then wondering what the heck is the hold up on Virtua Fighter 6, Sega! 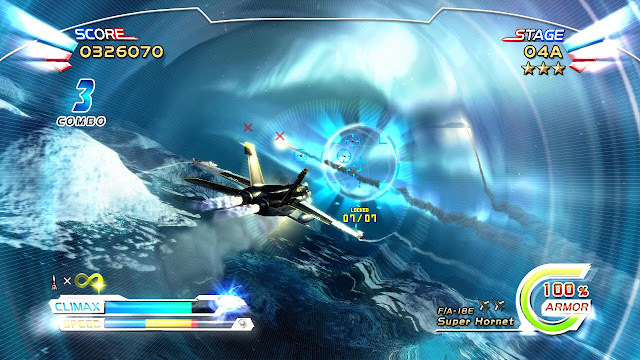 For this VGM volume from After Burner Climax, a game delivered in digital form on whole heaping host of systems, including the PS3, 360, Mobile, and even the PSP, we have the main theme of the After Burner series itself, given a special remix for the Climax game. It's part rock, part trance, all good. It's After Burner (Climax Remix)! Marking the historic 1400th VGM volume is one of my favorite games of all time, Resident Evil 4. For some, it's not viewed as brightly despite being a masterful game. This is due to the shift in tone of the series, a once survival horror game turned action series. The worst of that was with the sloppy Resident Evil 6. 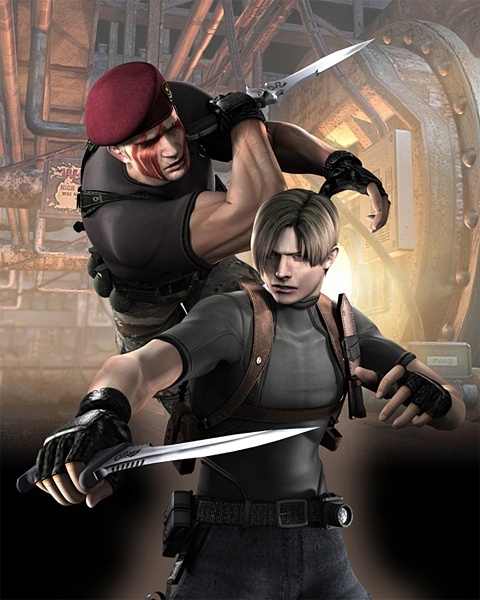 Still, one cannot deny the perfect pacing and intense, satisfying action that the developers behind Resident Evil 4 delivered to players. The original One Piece: Unlimited World Red released on Nintendo 3DS and PlayStation Vita few years ago. Now, an expanded version with new content on new platforms is launching in September on PlayStation 4, Nintendo Switch, and Steam. Check out this 3+ minute trailer to see all the new updates to the game.